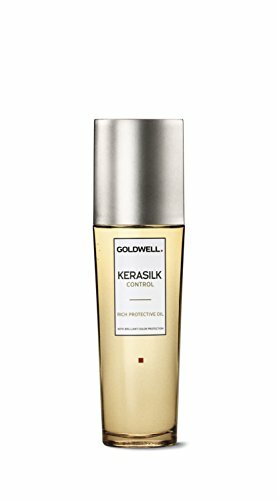 Keratin Protective Oil contains precious Keratin and Liquid Silk to smooth unmanageable or frizzy hair. Helps to control and tame extremely unmanageable, unruly and frizzy hair. This formula offers humidity and heat protection for intense shine and combability. Hair appears softer, smoother and more manageable. How To Use: Apply to towel-dried or dry hair. Leave in.